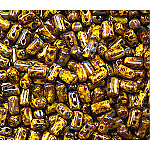 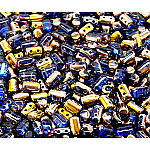 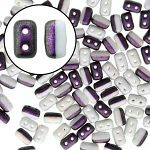 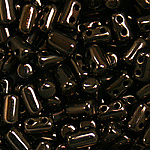 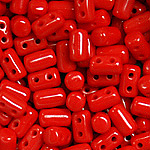 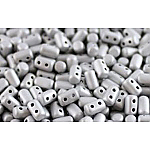 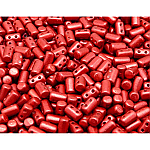 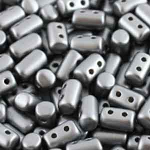 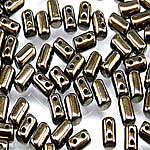 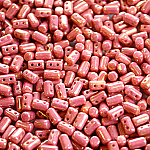 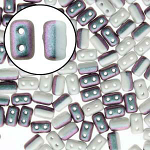 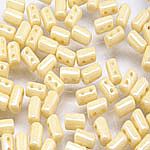 Czech Rulla Two Hole Cylinder Beads. 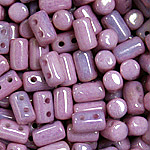 Rullas can be used just like any other two-hole bead on the market and are very consistent in shape and color. 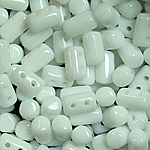 Our Rullas are 3x5mm in size and come in 2 inch tubes with approximately 10.5 grams per tube. 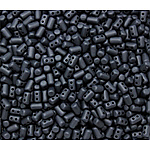 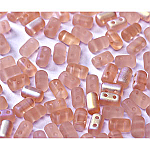 Depending on weight of each bead, there are approximately 10 beads per gram, giving you 105 beads per tube.